Home > Products > HydraQuiver Double Barrel Hydration Pack: Ideal for runners with larger chest diameters and for runs greater than 2 hours. 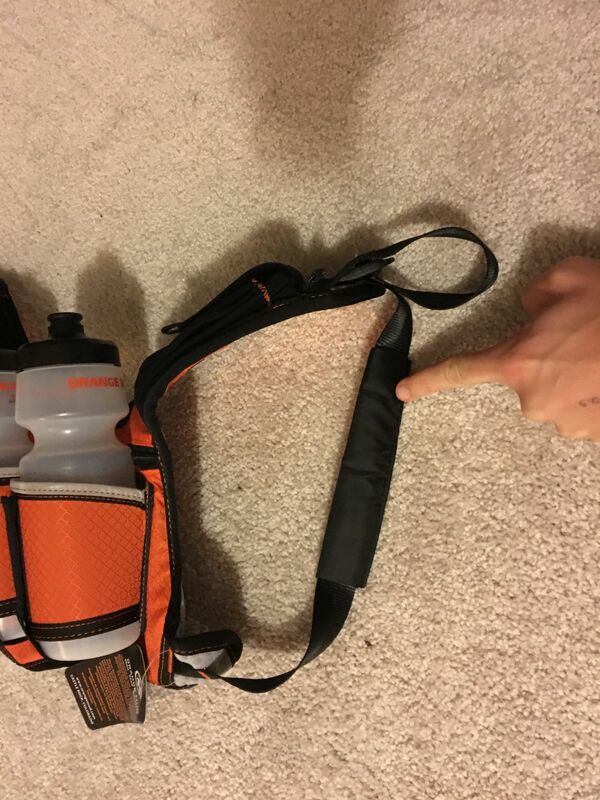 Tired of bouncing and sloshing hydration packs? Solution found, meet the HydraQuiver™ Double Barrel! Sporting a silky smooth webbing, quick access shoulder pockets, and a bounce free ride! This is a tiny pack with loads of features. Rear air channels provide ample support and maximum breath-ability. The water bottle holder is easy to access with a wide funnel opening and perfect retention. We use reflective trim for nighttime safety too. Wear instructions are simple, put on the pack, cinch it down snug and your good to go! Yes it fits the ladies just as well as the guys. Be sure to tuck the excess web in the elastic keeper at the end of the shoulder too! 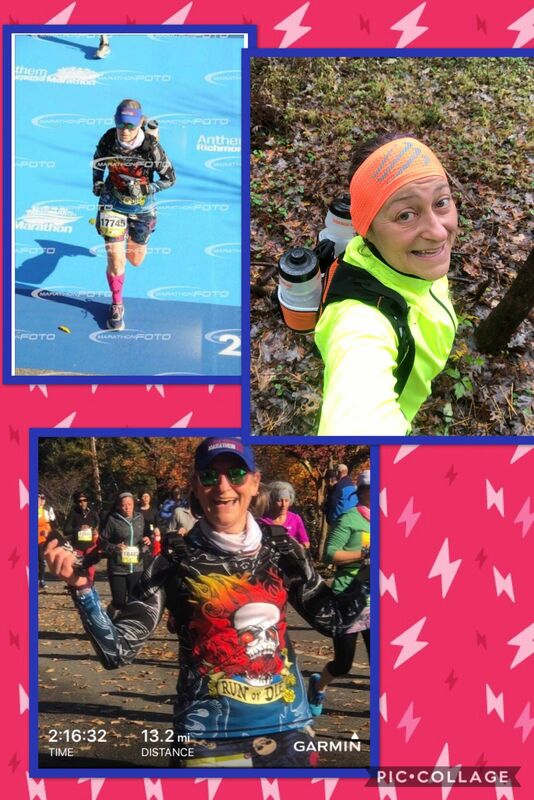 Why choose the Orange Mud HydraQuiver Double Barrel hydration pack? 2+ HOURS OF FLUID ON BOARD – Two 24oz water bottles makes it easy to manage your hydration, yet is quick and easy to refill. FASTER RACE TIMES – Run your own nutrition strategy in a race and refill only at the aid stations that you need to stop at. This will save time! TINY FOOTPRINT, LESS HEAT – The small footprint of the pack will stay very high on your shoulders for maximum stability and breathability. Double Barrel from Orange Mud on Vimeo. HydraQuiver Double Barrel Hydration Pack: Ideal for runners with larger chest diameters and for runs greater than 2 hours. Tired of bouncing and sloshing hydration packs? Solution found, meet the HydraQuiver™ Double Barrel! Sporting a silky smooth webbing, quick access shoulder pockets, and a bounce free ride! This is a tiny pack with loads of features. Rear air channels provide ample support and maximum breath-ability. The water bottle holder is easy to access with a wide funnel opening and perfect retention. We use reflective trim for nighttime safety too. Wear instructions are simple, put on the pack, cinch it down snug and your good to go! Yes it fits the ladies just as well as the guys. Be sure to tuck the excess web in the elastic keeper at the end of the shoulder too! I’ve tried them all.... bladders, belts, and vests. The Double Barrel is the most comfortable and capable hydration pack out there. Easily holds everything I need to carry, doesn’t affect my stride, and zero chafing. Great product and great company. Hey no problem Lesa! Glad to help and glad you dig it! I know I'm hard to please with these sorts of things and I read through every review and usually try multiple products before I pick one. This is has been great in every way. - Not too hot since it doesn't cover your whole back like others. - No chafing! I always run shirtless and this has padding on the strap that goes through your armpit and it's unbelievably comfortable after 2+ hours. I have been using it for the last month training for a marathon. Does great on the long runs. I have been using Tailwind exclusively on my runs so the extra pouches are great to hold my extra powder. The only reason I can't give 5-stars is that the straps will loosen up throughout the run. All you simply have to do is pull it snug again, but would be nice to stay in place. I would, and have, fully recommended this product to other runners!